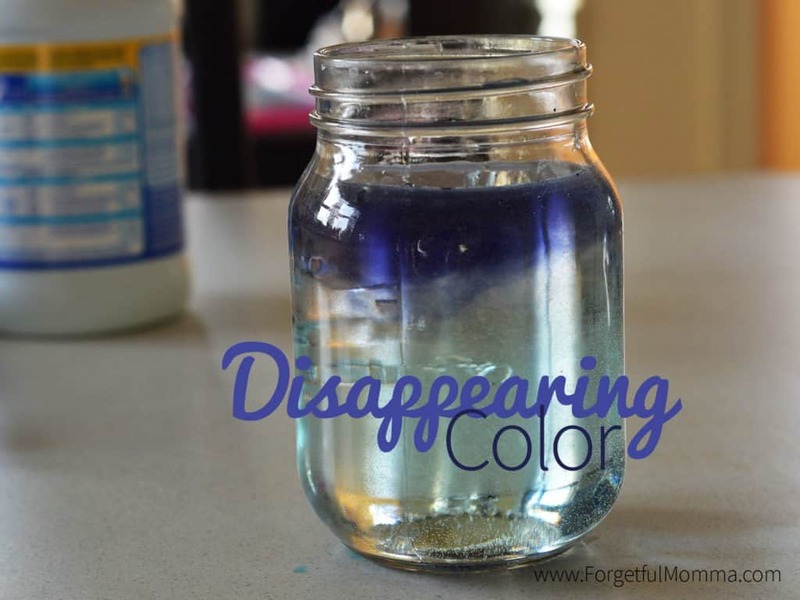 Disappearing color sounds a little like magic, for your kids, especially if they are young, it will probably be magic. 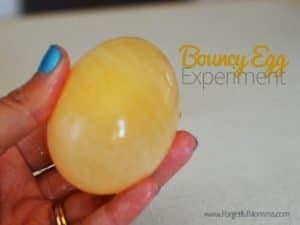 This is one of the easiest science activities you can do at home. It is a bit like magic, this chemical reaction between two things. We love science experiments like this. You only need 3 things: water, food color, and bleach.If you have ever cleaned with bleach you know just what it does, it bleaches, it removes color – just ask the t-shirt I was wearing the other cleaning my bathroom, thankfully I was smart enough to change out of my new black sweater. Simply fill a clear container, a jar in my case, with water. I did use water from our reverse osmosis tap, it was out of habit, regular tap water is fine. Add some food color, stir it if you’d like. 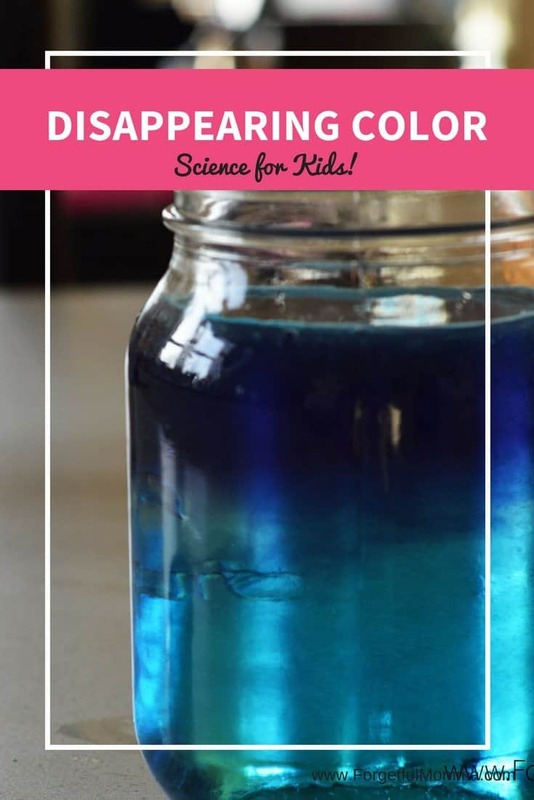 Grab some bleach, I used an old dropper to avoid spilling, and add a bit to your colored water. 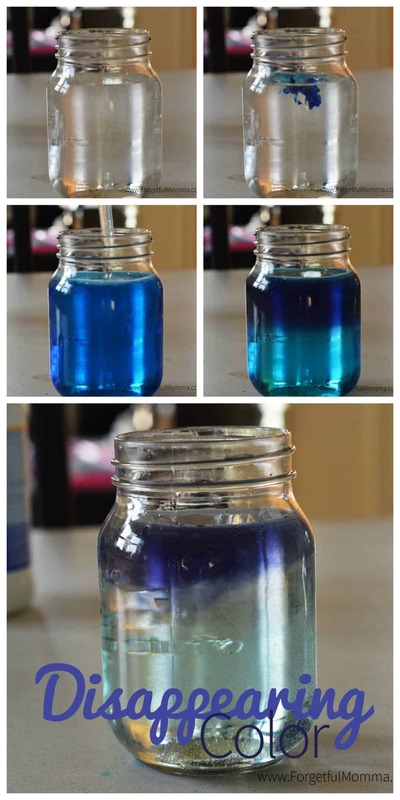 We added a tablespoon of bleach to start, and added a tablespoon at a time as we went. A tablespoon of bleach was added into our jar and after a few minutes the bottom half of our jar was colorless. 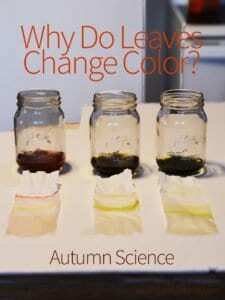 Or the color of the bleach, you can see that there is a hint of yellow. Add more and see what happens,maybe give it a little stir. I can’t stress how careful you and your kids need to be. Bleach on skin can be painful, in the eyes horrible. Plus once you have bleached the color of something there is no getting it back so we don’t want to have a spill. It’s cool to watch, but what’s really happening? Bleach contains an oxidizer. 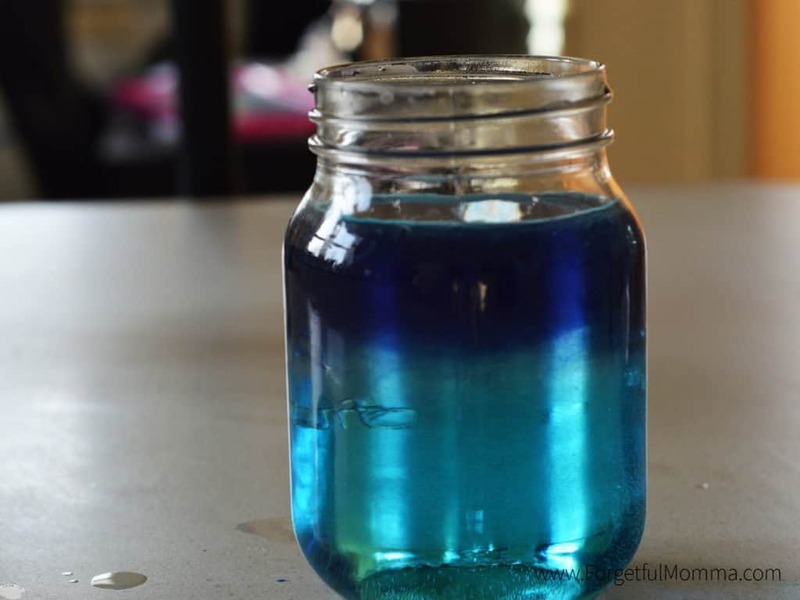 It reacts with the color molecules in food coloring. Although the pigment molecule remains, its shape changes so that it can’t absorb/reflect light the same way, so it loses its color as a result of the chemical reaction. 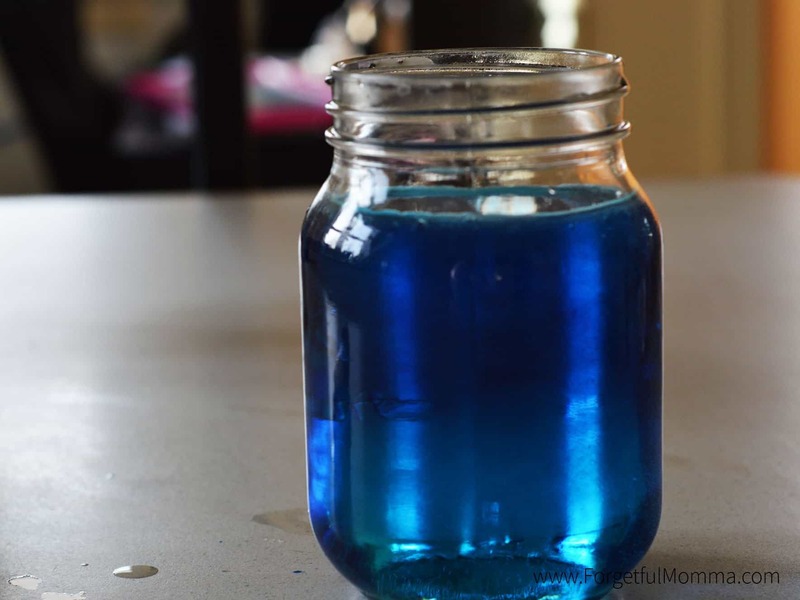 Try adding some more food color into your jar now that all the color has disappeared. It won’t act the same way it did in the beginning.